App Builder Appy Pie, April 02, 2018: The smartphone users of this day and age are accustomed to a notification from the Google Play Store or Apple App Store asking them to update the apps installed on their phones. The notifications for these updates are quite common and today not many of us actually stop and wonder what they are for. These updates that we get on the regular basis are mostly quite ordinary tweaks to the app, bug fixes, polishing the app, or adding small features. Intermittently though, the app goes through a major update where the app may be moving up from let’s say 3.0 to 4.0 or 8.0 to 9.0. The regular updates hardly, if ever have any impact on the UI, whereas the major updates are the ones that cast a noticeable impact on the user experience. A major update can involve anything from adding a major new feature, or an entirely new user experience design, etc. however, for most of the app owners or entrepreneurs, one of the biggest questions in this regard is. Exactly when to launch this major update. It is quite common for most of them to miss out on some of the subtle or sometimes obvious signs that their app is up for an update! Determining whether your app needs an update or not is not really rocket science, because there are a few techniques & methods that can help you analyze and establish the correct timing of due update for the app. Appy Pie has put together a list of six signs that your app needs an update. 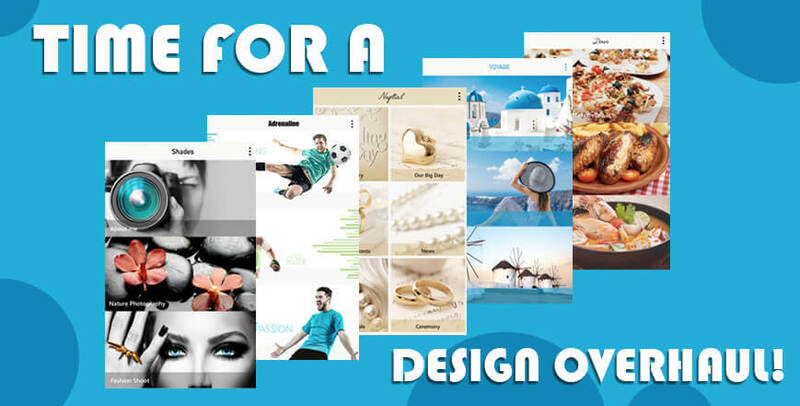 It is not necessary that your app meet all the 6 criteria, in fact if the app falls under the consideration of even one of the following points, it is time you gave it a major update. One of the most prominent ways to understand whether your app is in need of a major update is by closely observing the existing features of the app. After this observation if you understand that there is a need for including or developing a significant new app feature that is going to have an impact on the user experience of the app, chances are, your app is ready for a major update. You might even have been experiencing an idea buzzing around your app that would enhance your way of responding to the users and coming up with solutions for their query or a problem that they need to solve. In these scenarios, it is important that you plan a major update for your app. These significant features often include a third party service integration into the app, or adding some kind of an element that has a collaborative or a social connotation, features that are related to authentication, enabling synchronization of the app with a range of different devices, a significant change in the revenue model of the app etc. this feature may be instrumental in enhancing the user experience offered by your app, or simply be a new trend in features that plays up on the fantasies of the users bringing about an excitement and curiosity among them. To come up with the exact feature that your app needs and to figure out whether the feature you desire for your app has any validity, value, or relevance, there is a need for a lot of research so that you can shape up the ideas you have for your app into valuable offerings which would bring about value for the users of the app in the form of a newly added feature. Through this research you would also need to address the identity and traits of the app features you are going to add. When you add a new feature, it might bring about a change in the version number. As a part of mobile app development best practices to combine a few corelated features together and push them together to form one major update. The difference between a major and minor update may also be understood better by taking a close look at the release notes of Google for the Gmail app. User Experience or User Interface is of great importance for the mobile app and plays an instrumental role in the success or failure of the app. Your app might have had a brilliant design that engaged its users most effectively, especially when you launched it first. Design is one of the most crucial aspects of any product development. You need to keep re-evaluating and think from all perspectives & visualize and anticipate the design schemes and elements of art and structure and tweak the design to align it with the user experience while synchronizing it with the basic characteristic traits of the product. When you are planning to alter the design of the app, it follows that there would be a need for a major app update. The design changes may be completely visual or pertaining to the user experience. When you set out to redesign an app that already exists, it is going to be a tough proposition. Redesigning the whole app entails wiping the board clean to eliminate what you might have created with all your resources including time, money, & man hours. This existing design might have been your starting point which might have been the point of inspiration of evolution for your entire product, but now you might have to think of something completely new. It is only natural that your app design would need modifications due to the evolution of user interaction especially as the technology goes through its own changes. One of the recent examples of a major update that is rolled out involves Google’s Gmail for iOS. Version 5.0 for Gmail makes use of Material Design, changes in the layout, and an update in a great number of functions including the search function. Once this update made it to the Apple App Store, Google stopped using the 4.x version. When Uber released its new design towards the end of the year 2016, as they jumped from V2.x to V3.x. How the app performs varies from one day to the other, and is a perpetual matter of concern for the developer or the owner of the app. The matter of improving the performance of the app is of extreme importance and it looms large on the app owners. There are different kinds of qualitative data analysis that may be availed in order to come up with answers to certain specific areas. One of the major concerns of any developer or entrepreneur increases user engagement for the app. The performance of an app may be accredited to the level or quantity of engagement and the kind of value that it brings to the users. These factors are instrumental in determining the extent of success or failure of the app & resultantly the kind of profit it manages to bring in. apart from this there are quite a few metrics that need to be looked deeply into, in order to measure the success of the app. As part of the app analytics you need to monitor whether enough number of new users are joining in and downloading the app, are many of the visitors coming back to the app as repeat visitors, what kind of time are these visitors spending within the app, and the most critical aspect is the bounce rate i.e. the rate of people returning even after landing on your app. In the unfortunate scenario that your app does not fare well on these criteria, there are performance issues with the app that need your attention, and it is time that you think of launching a major update for your app. This update, of course must be launched only after you have carried out deep research and taken a deep look into the analytics. This is because the quantitative data may only tell you that the visitors are not interacting with a certain page on your app, without giving you a clue about the reason. Hence not only do you have to use the data that you have in front of you, but try and make sense of it by having an open interaction with the real users of the app. The feedback that you receive from your app users is of great value to you as it can help you get to the root of quite a few issues that might have actually completely escaped your attention. The in-app feedback, reviews on the app stores, and the support requests that you may receive for your app are a great way to receive valuable feedback which can help you identify some of the major flaws or enhancements that an app may need intermittently. It is finally the users, for whom you are creating the product, hence their satisfaction with the product is paramount. There is a good number of examples where the feedback from the users was used to work on and take care of some of the most critical technical flaws while improving the user experience and user interface of the app for users. If the feedback from the users indicates that there are certain issues pertaining to the key features or functionality of the app, it is a sure sign that the app needs a major update. However, it might not really be a great idea to design a major update solely around the user feedback. It is known to happen that after the developers spent a big chunk of their resources in developing a feature suggested by the users, they only managed to add a sliver of value to the app & the overall user experience. It is therefore better to combine the user feedback with the rest of the analysis and other metrics in order to evaluate the need of a particular major update. Mobile and all its ancillary industries are inherently evolving and dynamic in nature with a very short shelf life. For example, if you take a look at your smartphone and the apps that you ae using on it, are they the same as they were just a year ago? No, right? This means that the world of technology is evolving quite rapidly, which means that as an app owner, it is your responsibility keep your app’s codebase updated. It wouldn’t be an exaggeration when we say that in app years, a codebase that is two years old is virtually ancient. This may be demonstrated with a simple fact that four years ago Swift did not even exist and today Swift 3 is being used! 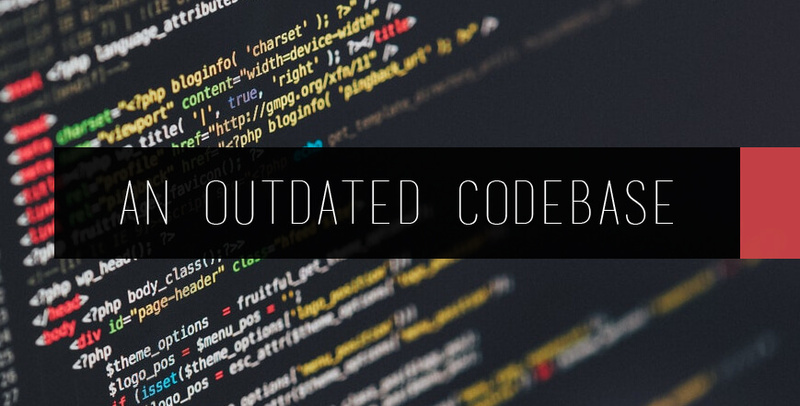 As we see the prompt evolution of technology, an outdated codebase can be a big proponent for a major update. When you are planning to edit and upgrade your app’s codebase, you must be aware that it would require a whole lot of accuracy and commitment. This accuracy & commitment gains even more importance when you have a lengthy code that does not follow standards and conventions of the latest approach in programming. It is no secret nor a surprise that the mobile technology is ever evolving and as an app developer or appreneur, it is imperative that you do everything to stay abreast with the imminent changes in trends if you plan to keep doing well in your arena. This essentially becomes a continuous process because the mobile platforms and the different kinds of devices keep growing. As soon as a new device is launched, elements like new display orientations & resolutions come into play. As a new platform joins in or an existing platform is updated, your app would have to be updated with newer approach and brighter ideas. In its inherent character your app should be flexible enough to suit the preferences of the users who use a variety of devices and platforms that are available in the market so that you may maximize your reach. This kind of an update might be needed when you want to include or create an entire new version that is specifically for the tablets or when you are moving from an Android only app to include an iOS version for the same. When you are planning to rework on an app and expand it to other platforms and devices, you might have to rework on the backend service or the model of the app data and may even have a noticeable impact on the user experience and visual design.